‘In my writings to people seeking recovery from addiction, I have advocated a stance of total personal responsibility: Recovery by any means necessary under any circumstances. That position does not alleviate the accountabilities of addiction treatment as a system of care. Each year, more than 13,000 specialized addiction treatment programs in the United States serve between 1.8 and 2.3 million individuals, many of whom are seeking help under external duress. Those who are the source of such pressure are, as they see it, giving the individual a chance – with potentially grave consequences hanging in the balance. Accepting the mantra that “Treatment Works,” families, varied treatment referral sources and the treatment industry itself believe that responsibility for any resumption of alcohol and other drug use following service completion rests on the shoulders of the individual and not with the treatment program. This is unique in the annals of medicine. With other medical disorders, continuation or worsening of symptoms is viewed as an indication that the initial treatment is not effective for this particular patient and that changes in the treatment protocol are needed. And those consequences are often quite dire, including divorce, loss of children, loss of housing or educational opportunities, termination of employment, discharge from the military under less than honorable conditions, loss of professional licenses, loss of driving privileges, and incarceration, to name just a few. Such punishments are often meted out with an air of righteous indignation in the belief that the person for whom we have done so much has failed this chance we have given them. The question I am raising in this blog is: Was it really a chance? Put simply, we are routinely placing individuals with high problem severity, complexity and chronicity in treatment modalities whose low intensity and short duration of service offer little realistic hope for successful post-treatment recovery maintenance. By using terms like “graduation” and ending the service relationship following such brief clinical interventions, we convey to patients, to families and to all other interested parties at “discharge” from treatment that recovery is now self-sustainable without continued professional support. And this is true just often enough (but often attributable to factors unrelated to the treatment) that this expectation is maintained for all those treated. For those with the most severe problems and the least recovery capital, I believe this expectation is not a chance, but a set-up for failure with potentially greater consequences than might have naturally accrued. What we know from primary medicine is that ineffective treatments (via placebo effects) or an inadequate dose of a potentially effective treatment (e.g., as in antibiotic treatment of bacterial infections) may temporarily suppress symptoms. Such treatments create the illusion of resumed health, but these brief symptom respites are often followed by the return of illness – often in a more severe and intractable form. This same principle operates within addiction treatment and recovery support services. Flawed service designs may temporarily suppress symptoms while leaving the primary disorder intact and primed for reactivation. But now the treated individual has three added burdens that further erode recovery capital. First, there is the self-perceived experience of failure and the increased passivity, hopelessness, helplessness, and dependency that flow from it. 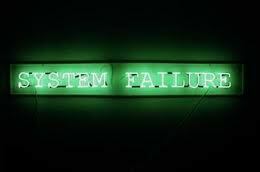 Second, there are the perceived failure and disgust from others and its accompanying loss of recovery support–losses often accompanied by greater enmeshment in cultures of addiction. Finally, there are the very real other consequences of “failed treatment,” such as incarceration or job loss that inhibit future recovery initiation, community re-integration and quality of life. The personal and social costs of ineffective treatment are immense. If we as a society and as a profession want to truly give people with severe and complex addictions “a chance,” then we have a responsibility to provide systems of care and continued support that speed and facilitate recovery initiation, buttress ongoing recovery maintenance, enhance quality of personal and family life in long-term recovery, and provide the community space (physical, psychological, social and spiritual) where recovery and sustained health can flourish. Anything less is a set-up for failure. As addiction professionals, we should always be mindful of the power we wield and its potential effects on people’s lives. That power comes from our professional decisions and actions, but it also flows from the treatment designs within which we operate. If we are going to participate in giving people a chance, then we need to make sure it is a real chance and not a set-up for what is ultimately more a system failure than a personal failure. This is an incredibly important blog from Bill White. Real food for thought. Sadly, from my experiences in the UK, many treatment services are more concerned with themselves than with the people who are coming to them for help. They don’t want to be seen as not providing a good service, so the easiest thing is to blame the ‘client’. And the overall system of care has the same attitude (of course, there are also many excellent services). In fact, research in Philadelphia – which has changed its addiction and mental heath care system so that it is recovery-based – revealed that the original service system and its practitioners had taken on some of the characteristics of the disorders they are expected to treat, e.g., denial, projection of blame, grandiosity, self-centeredness, preoccupation with power and control, and manipulation.